The last time I photographed them was in 2011, when I had just started my business..
and they were literally one of my first 5 clients back in the day! when I barely knew what I was doing, haha! Mike and Heidi are actually relatives of ours, and I've been babysitting their kids for years. Plus getting to shoot at this new locations was pretty fabulous..and it was overcast. (p.s. 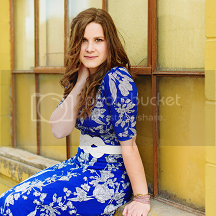 I have a bunch more sessions to blog -- ahh, can't wait to share! Seriously, how killer is that tree?! you my friend, are so amazingly good! beautiful photos! some of my favorites are: the big tree, in the field, in front of the white barn, and walking through the woods! Thanks for sharing!! Oooh! I love the shot with the parents and the fall leaves flying around them! so awesome! Those mother daughter shots are so lovely! Several European countries and American states have also soldes salomon chaussure banned the use of sunbeds by minors, according to research published in the journal Nature. Most Australian states and territories are Salomon Speedcross 3 Pas Cher set to ban commercial sunbeds from Thursday, in a crackdown on artificial tanning chaussure salomon pas cher in a country that has one of the highest rates of skin cancer in the world.